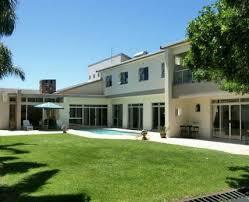 Constantia is an affluent suburb of Cape Town and boasts a wide selection of accommodation. Notably, Contantia has some very luxurious places to stay, many of them on wine estates, but visitors to the area can also expect to find reasonably priced hotels, guest houses, self-catering accommodation and bed and breakfasts. Constantia as a region was founded in the late 18th century, making it one of the oldest areas within Cape Town. 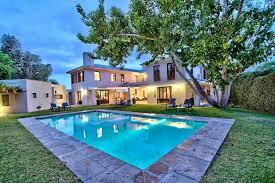 The suburb is situated to the west of the Constantia Valley and on the Constantiaberg. 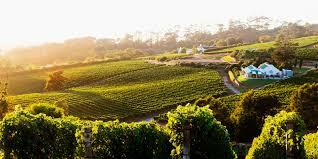 The region is particularly famous for their wine, as well as their celebrated wine estates and farms. Visitors are encouraged to take part in their very own wine route, consisting of five top notch vineyards that constantly produce award-winning wines. 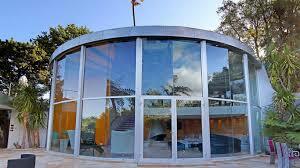 Fine wine is synonymous with fine dining and Constantia has a wide range of top restaurants. A trip to the Constantia Village is a great idea for families who wish to enjoy a day of shopping. The outdoor activities in the region are perfect for those adrenaline junkies, these activities range from tree climbing to zip lining. For the golf enthusiasts, there are a number of top class golf courses nearby as well. This five star hotel offers guests everything they need. The Cellars Hohenort Hotel is surrounded by nine acres of award-winning gardens and consists of 51 guest rooms and suites that offer visitors breath-taking views of the world-famous Table Mountain. Guests are spoilt for choice when it comes to the hotel’s offerings. A choice of two swimming pools, a gym, a hair salon as well as tennis, cycling and lawn games are but a few of the activities that await those who visit the Cellars Hohenort. A complimentary smartphone with unlimited internet access and phone calls is given to visitors upon their arrival, making it the perfect destination for businessmen. The bed and breakfast accommodation allows visitors to dine at their luxurious restaurants whilst staying in comfort. Telephone 021 794 2137 Make a reservation click here. Get there click here. Find out more click here. Visitors that are seeking a selection of luxurious suites, villas and an apartment have to look to longer, it can all be found at the Nova Constantia. The Nova Constantia has a number of activities for guests, such as a sizable library and a flood-lit tennis court, to name but a few. 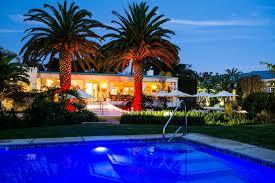 This five star boutique hotel is very popular within Constantia, especially for couples. The hotel offers a special concierge service which is something on which this accommodation establishment prides itself. The individual attention paid to each guest has made the Nova Constantia a favoured destination. Telephone 021 794 8746 Make a reservation click here. Get there click here. Find out more click here. 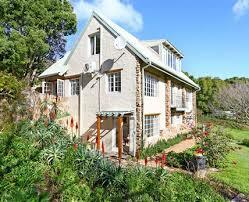 The Purple Rayn Boutique Guest House is nestled within the majestic Cecelia Forest of Constantia. This luxury accommodation offers guests tranquillity and indulgence. Visitors are able to sit back and unwind whilst watching their favourite Netflix shows in one of their 12 bed and breakfast suites. Purple Rayn is the perfect destination for accommodation as well as for hosting functions. A visit to one of their three restaurants is a must for guests, as well as spending some much deserved time relaxing at their Amani Spa. Telephone 021 110 0756. Make a reservation click here. Get there click here. Find out more click here. Spoilt for choice is often how visitors feel when they have to choose between staying at the Belair Manor or the Belair Cottage. The Belair Manor and Cottage are both luxury self-catering accommodation. Both of these lavish units are separate from each other whilst being on the same property. Both units allow guests to cool off in a stunning swimming pool. The Belair Manor is the perfect blend of simplicity and elegance. The manor is a fully equipped 4 bedroom villa which can sleep up to 8 people. A sauna and steam room awaits those who wish to unwind after a long day. The Belair Cottage is the perfect romantic getaway. It combines a modern design with the iconic scenery. The cottage is fully equipped and can sleep 2 people. Telephone 021 555 8700. Make a reservation click here. Get there click here. Find out more click here. 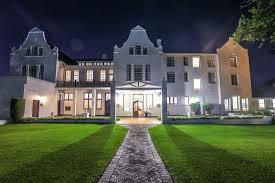 A visit to the 14 on Klein Constantia is a must for those wishing to enjoy five star accommodation and fantastic wine. This guest house is owned by a small independent family who have made it one of the most prestigious accommodation venues within Constantia, as well as the one of the most sought after venues in the whole of Cape Town. Guests have five luxury bed and breakfast suites to choose from during their stay. The Cape Dutch Villa is also the home of the Klein Constantia Wine Estate and is described as one of the most beautiful in the world, whilst also producing top quality wine. Telephone 072 392 9257. Make a reservation click here. Get there click here. Find out more click here. The Caxton Manor provides excellent accommodation for both the business person and the holiday maker. This bed and breakfast accommodation can provide and arrange discounts at local businesses and restaurants, in doing so they go above and beyond for their guests. 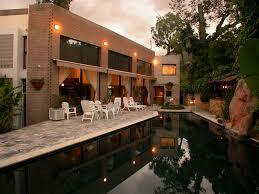 Their guests are encouraged to make use of the swimming pool, garden and barbecue facilities. The Caxton Manor will be introducing stunning bar and lounge areas in addition to their already impressive offerings. Telephone 021 712 9910. Make a reservation click here. Get there click here. Find out more click here. 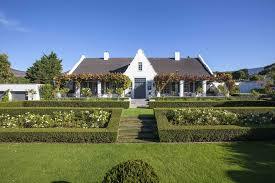 Nestled in the peaceful and rural Constantia Winelands Valley is where you would find the Villa Coloniale. The luxury five star all suite guest house is a historical building that was refurbished with great attention to detail. All of the guest suites are individually decorated and contain an elegant ambience. The spacious interior of the suites offers a warm and friendly atmosphere. 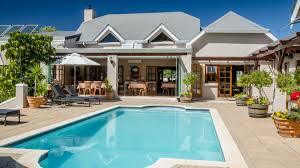 The Villa Coloniale is the ideal location from which to visit all that the Cape Peninsula has to offer. Telephone 021 794 2052. Make a reservation click here. Get there click here. Find out more click here. Located in the heart of the Constantia Valley Wineyards, the Summit Place Guest House awaits those who are seeking a comfortable stay. This four star self-catering accommodation has beds made of fine percale linen, making it the perfect anecdote after a day spent at their beautiful pool. The perfect way to begin the day is to enjoy a delicious breakfast served on the pool patio. This child friendly accommodation is the perfect destination for families. Telephone 021 794 0895. Make a reservation click here. Get there click here. Find out more click here. This popular and affordable accommodation in Constantia is the perfect destination for those who do not want to burn a hole in their wallets. Houtkapperspoort offers guests 26 cottages to choose from, each cottage contains all you need for a soothing stay. All the cottages are made from Table Mountain stone and timber. The cottages are all equipped with a veranda and a braai, making it very popular for couples who are looking for a romantic getaway. Telephone 021 795 0189. Make a reservation click here. Get there click here. Find out more click here. If you are looking for the perfect place to escape the hustle and bustle of day to day life, then the Constantia Vista is the destination of choice. These luxury self-catering suites are situated on a hill that overlooks stunning scenery, such as the forests, vineyards, mountains and the sea. Guests have the option of six various accommodation options upon their stay. The Constantia Vista is an ideal destination for golf lovers, located only 10 minutes away from two championship courses and 20 minutes away from a further five major golf courses. Telephone 021 794 3674. Make a reservation click here. Get there click here. Find out more click here. 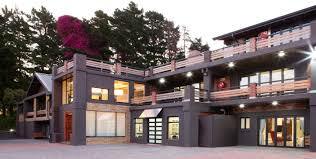 The Glen Avon Lodge is a five star graded hotel in Constantia consisting of 21 rooms. All of their suites and rooms are all conditioned, each containing modern en-suite bathrooms. Visitors have the option of two swimming pools to choose from, with one being solar heated as well. Those who enjoy quality food will adore the Glen Avon Lodge, with the boutique hotel offering a breakfast buffet, light lunches and fine dining in the evening. Telephone 021 794 1418. Make a reservation click here. Get there click here. Find out more click here.